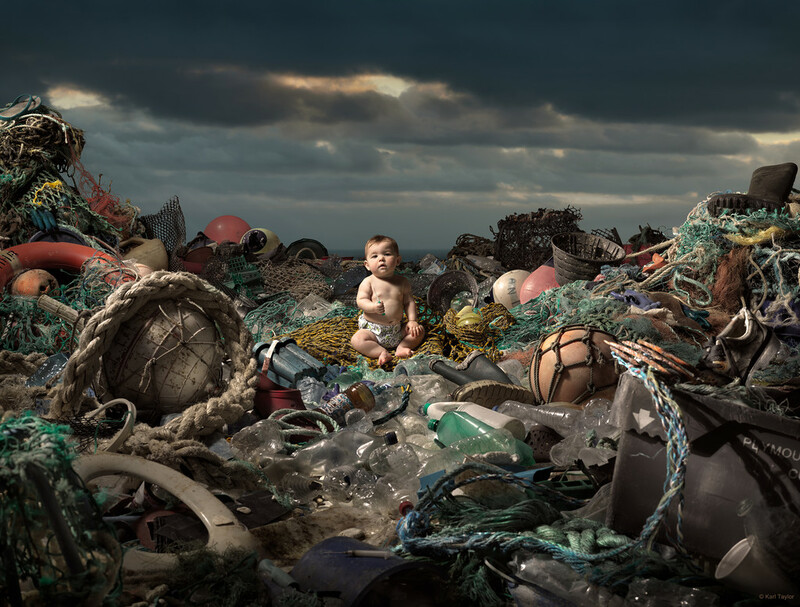 Enraged by the abundance of plastic waste taking over our oceans, British photographer and Hasselblad Ambassador Karl Taylor decided to make a drastic statement with his imagery; from volunteers collecting thousands of pieces of garbage from the nearby coastline, Karl staged studio shots using a baby placed at centre stage in this valley of litter. With the Hasselblad H6D-100c as his camera of choice, Karl executed his vision with a superior level of detail and tonal range, creating thought provoking images intended to shock its viewers into taking action for our planet. What gave you the inspiration to photograph this campaign that puts a dramatic spotlight on ocean pollution? Oceans are vital to human health. Humanity depends on them, but instead of looking after this natural resource, we’re slowly killing it. With so many environmental images out there, unless they contain an element of shock, they are easily overlooked. The message had to be clear and it had to be strong. How did you add that shock factor in the images? I started by asking myself what does plastic affect? The answer I came to was us, our children and our future. I knew that one of the items that frequently washed up on shore were syringes and as a parent myself, this is always a concern when taking your children to the beach. So, I decided to put the two together as this would create a real talking point and add some controversy, which is exactly what is needed to raise awareness. How did you execute your campaign? My team and I dedicated a weeks’ worth of time to the project, conceptualising and creating images that were made using thousands of pieces of litter collected by volunteers from just 2km of the coastline over one month. Initially I wanted to go for a straightforward studio shot, but to emphasize the link to the ocean I changed that and decided to do a composite image and incorporate one of my own seascape images in the background. For the first image, I envisaged having a baby sat in a valley of litter, holding a syringe. But photographing that amount of clutter is extremely difficult and I knew my styling and post production work would have to be perfect in order to guide the eye to the message. I did this through meticulous styling of the shot and precise post production work, burning, dodging and re-coloring, to guide your eye to the focus point and hold you in the picture. Did you actually photograph the baby holding a real syringe? There was no way we would risk the welfare of a baby so the needle was added during post production and the syringe was sterilized before the shoot. On top of that, to ensure the child’s safety and comfortability, the mother was just a few feet away with a clear path to the baby carefully hidden behind the debris. What was the process behind the second image of a baby laying in an eye-shaped litter design? We wanted an overhead shot to show the scale and quantity of the items collected. Again, I felt that including a baby would create a stronger message, playing on the concept of our future. Thinking about concepts that related to the future, health and what we choose to ignore, I decided on an eye. I needed to study the human eye, examine dimensions, coloration and form. With my Hasselblad secured to the studio ceiling, we marked out an eye that was 5.6m in diameter and used the litter to create the pupil, iris, limbal ring and eyelid (the baby would be placed in the centre of the pupil to create the catchlight). Initially I hadn’t planned to create anything other than the eye, but it was Tim, our cameraman, who had the idea to create the eyelid using polystyrene, a form of litter that washed up regularly but that we hadn’t yet included in any of the shots. What did you do with all the waste after the shoot? Once the shoot was complete, all the items were sorted and sent for recycling. Why did you use the Hasselblad H6D-100c for shooting this campaign? The H6D-100c gives me a superior level of detail and tonal range and that was particularly valuable on a project like this with so much fine detail in the image. The technical aspects of my Hasselblad are predominantly tonal range, detail and lens quality. This combined with the tethered shooting and high-resolution previews in Phocus software make it invaluable for my workflow. How will these images be used to raise awareness? We worked on this for free as a charity project and made the images available to any relevant environmental organisations and scientists. To date, they have been used by Friends of the Earth, The Marine Conservation Society, Plastic Pollution Coalition, the National Oceanography Centre, Plastic Soup Foundation and many more as well as the video being viewed almost 1 million times on the BBC. Hopefully through further exposure, they will continue to educate and inform people about the problem. With over 25 years of photographic experience, Hasselblad Ambassador Karl Taylor is commissioned by leading global companies for his precise attention to detail and exquisite control of light. Having started his career in photojournalism, he is now known for shooting advertising, beauty and fashion. In addition, Karl works as a photography instructor and training consultant within various technical subjects. See more of his work here. For the photographer who demands nothing less than the best from their digital camera, we present the H6D-100c. Its large sensor offers an almost full field-of-view from our HC & HCD wide angle lenses and is capable of recording breathtaking detail, even in poor lighting conditions. 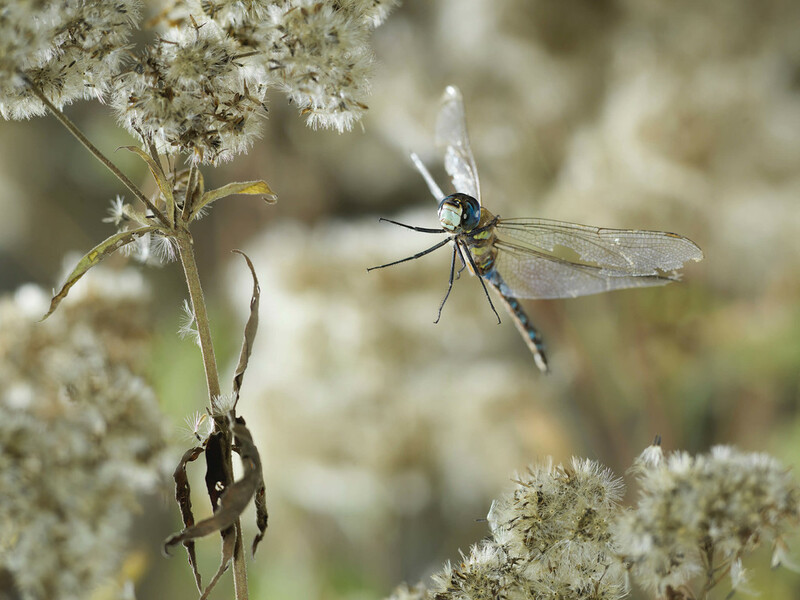 Using the H6D-100c and various HC lenses combined with a home-made laser system to trigger the flash, Ghislain Simard created elegant, painting-like images of dragonflies frozen in time.